Tax consultancy is a ‘dirty word’ to some people: ‘oh you help people fiddle their tax don’t you?’. No legitimate tax adviser would risk their reputation and professional qualifications in helping someone do that. In fact if a client reveals that they have undeclared income or gains a qualified adviser must advise disclosure to HMRC and must cease to act if the client refuses. Unfortunately, from a qualified tax adviser’s point of view, anyone can call themselves a tax consultant – even if all they do is what we call compliance work i.e. payroll, tax returns etc. That is not to say that all tax advisers without a professional qualification are to be avoided. It depends, for example an ex-HMRC inspector may well have received training to a professional standard. 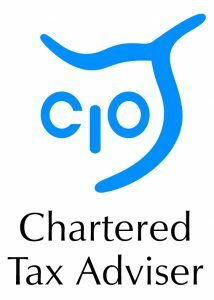 Members of the Chartered Institute of Taxation (CIOT) and the Association of Tax Technicians (ATT) will have undergone a course of study and successfully passed exams in order to gain their qualification. They therefore specialise in tax work, which may well include compliance work, but should be able to also advise on most UK tax matters. Other professional advisers may also be able to offer tax advice and compliance services as part of their overall offering e.g. Chartered Accountants (FCA/ACA), Chartered Certified Accountants (FCCA/ACCA) and solicitors. That is where I come in. A good professional adviser should know when a tax issue arises which is beyond their expertise to handle. A general tax or accountancy firm cannot be expected for example to know the intricate details of the company ‘loan relationship’ rules, the Enterprise Investment Scheme, or taxation of employee share awards. That is why many of my clients are professional firms who don’t have an in-house tax expert (or sometimes if they do but would like a second opinion). The top layer, if you will, of tax advisers would be high-profile individuals and firms who will be well-known within professional circles, and also barristers specialising in tax advice. Needless to say such advisers charge high fees probably starting around £400 per hour (plus VAT) and maybe up to £1,000 per hour (or perhaps more) for the very top tier of advisers, QCs etc. I only a charge a fraction of these rates, though I am often involved in preparing briefs for clients to submit for the opinion of tax counsel. A good brief for counsel will, of course, include the essential facts but also detailed analysis of the tax issues involved and on which counsel’s further input is required. Clients therefore tend to take my advice as somewhere in between their own level of expertise and tax counsel. So basically I offer high level of technical and practical advice at a reasonable cost, whether I am advising accountancy firms, private individuals, companies etc. – and it seems to work!